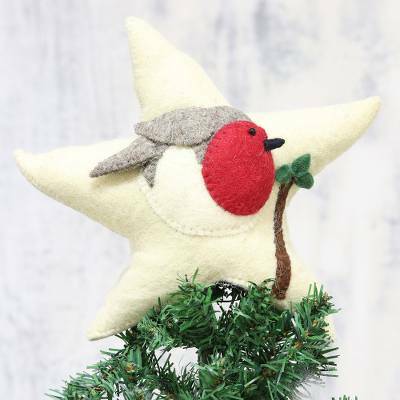 Star-Shaped Wool Felt Tree Topper from India, "Robin Star"
Captured within a star, a cheerful little robin will perch atop the Christmas tree this holiday season, bringing joy and happiness. From Rajesh Gehlot, this tree topper is handcrafted of wool felt, complete with a petite glass bead for the bird's eye. The reverse side is plain.